Skin problems affect both adults and children. Baby eczema prevention is crucial to spare our infant from several unpleasant symptoms. Itching and swelling as well as inflammation are only some of the main warning signs that lead to eczema. There are various precautions that should be taken in order to rule out the chance for the aggravation of the skin condition. Revolutionize baby skin care as well as make some tiny but important changes when caring for your child. Learn more about the baby eczema prevention through the following ideas. -Flaky and dry skin often on the affected area as well as on the face and neck. -Inflammation at the level of the cheeks, this is one of the main warning signs. -Itching is another symptom that can be best identified both in the case of adults as well as children. -Rashes are also common on various spots of the body as: ankles, neck, arms and even face and wrists. These all would launch a series of reactions that can be produced either by the contact of the skin with a harmful chemical or materials. Moreover various studies demonstrated that it can have a hereditary origin, which increases the probability of eczema in the case of children who have parents also affected by different skin problems. Regular moisturizing of the skin can prevent the appearance of eczema in the case of babies. On of the main causes of this skin disease is the inability of the skin to preserve the natural moisture. Therefore it might become dry and sensitive. The dry spots as well as the overall body can be conditioned with a fragrance-free and skin-friendly lotion. Opt for an organic formula to avoid the effect of chemicals. Make this ritual at least twice per day for a proper moisturizing. Trimming the nails of your baby to minimum is the main solution to prevent the damages on the level of the skin. Clean and shortened nails will prevent the scratching. Babies often hurt their skin, which might cause the easier penetration of the chemicals and other harmful free agents into the depth of the complexion. Keep the proper hygiene to ensure the skin-friendly conditions. Chemical-free detergent is of central importance to reduce the chances for eczema. The skin of the infant might by hyper-sensitive to the impact of fragrances, brighteners, bleachers as well as dyes that can stick to the fibers and get in contact with the pores of the baby's skin. Various detergents and cleaning solutions would not damage adults still due to the minimal resistance of infant immune system these can launch an allergic reaction more quicker. Inappropriate nutrition can also cause complications and can also trigger eczema. Moreover the food intake of the mother can also be named as a factor that might determine the formation of skin problems. Critical foods that should be taken into account during pregnancy nutrition are: peanuts, soy and also wheat. After identifying the main symptoms it is highly recommended to contact our health provider for further information on precautions. Natural fiber clothing is a must in case of infants. 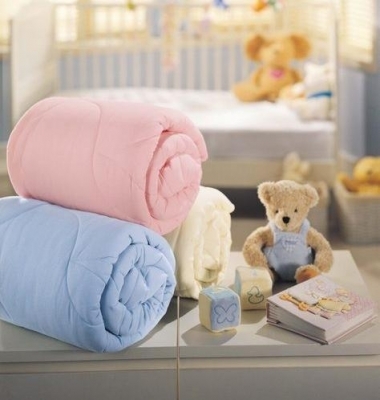 Cotton is the ideal fabric to opt for, in order to eliminate the main triggering factors of baby eczema. Ditch out all the clothes and accessories that would directly enter in contact with the baby's skin. Various blankets and even the carpet can have an unfortunate effect on the skin if made of wool. Avoid this material to reduce the chances of rashes and inflammation. The secret to prevent skin problems at an early age is to keep the baby away of sweating and synthetic fibers. Humidifiers are also one of the top remedies to fight eczema. The temperature in the baby room might also play a paramount role in the formation of eczema. 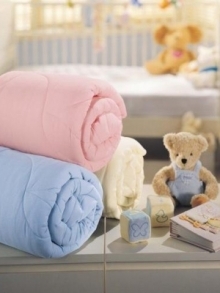 This will secure the fresh air as well as the proper body temperature of the baby. Overheated spaces can trigger sweating and breathing problems, therefore keep the air free of dust and other elements that would threaten his/her spotless health condition.